"I want cake, I need cake!" Yes, cakes are special. 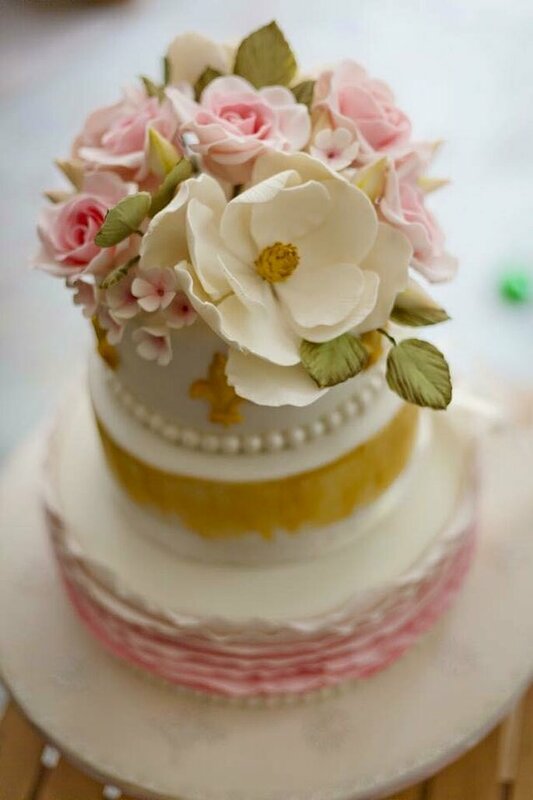 Every wedding, birthday, and celebration should end with something sweet, and cakes are the best option! Are you looking for cake ideas for your parties, engagement, wedding and reception to put a sweet end to your celebration? Do not miss our proposals for weddings in the capital India. 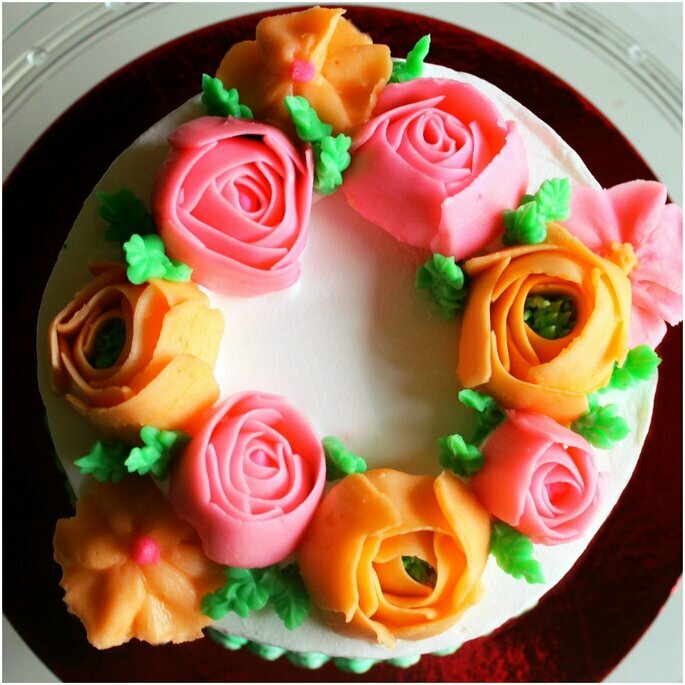 Biscuits, creams, and other ingredients combined with special details such as flowers are used to complete the most romantic cakes. They manage to create different combinations that fit the style of each couple to add a wedding detail that is unique and 100% personalised. 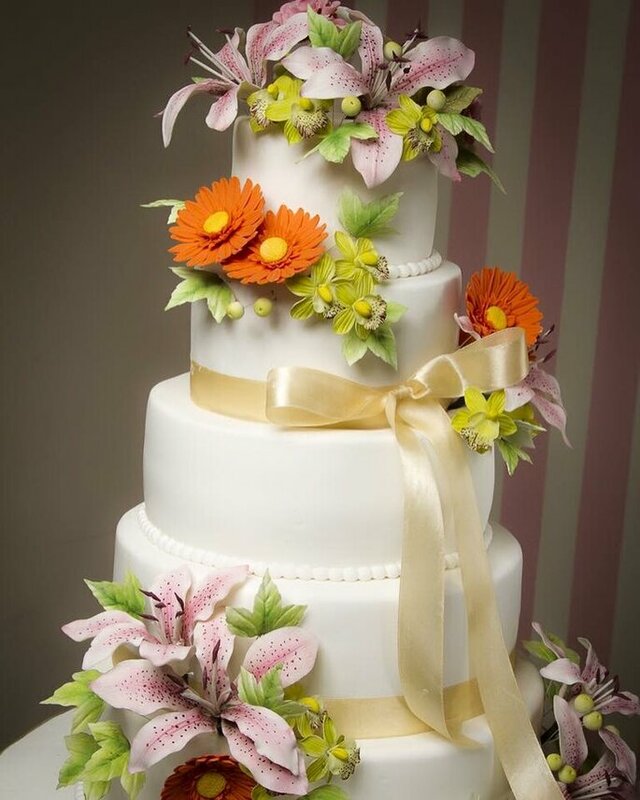 The cake is a big part of your wedding so it’s important to make sure you’ve chosen the best wedding cake shop. Chokola was started in 2005 with a vision to introduce, superior quality and beautifully crafted, premium chocolates in India. Since then the brand has grown and diversified creating a Chokola Constellation that is unique in its approach to customer satisfaction. The brand offers a wide array of products and services ranging from customized gifting to cafes and boutiques. 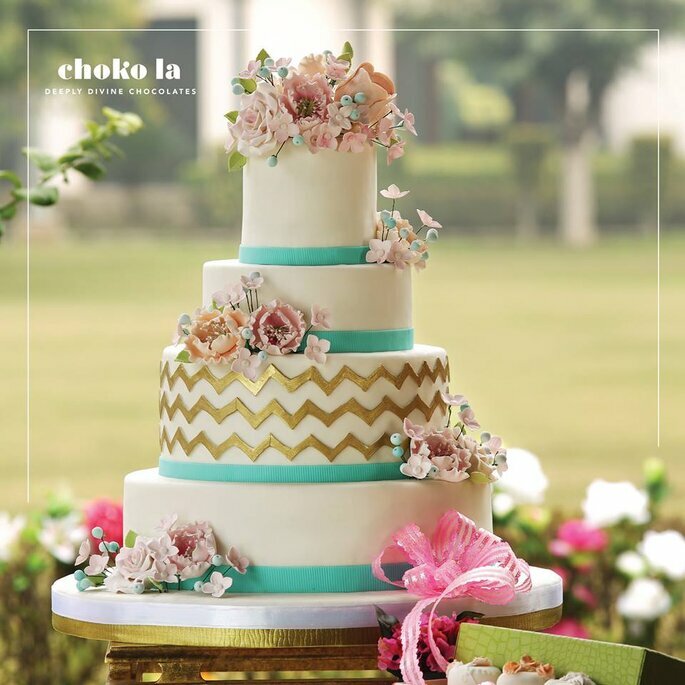 Your special occasions today are all about detailed planning until perfection is achieved and Chokola serves to act as an addition to that perfection. Be it a wedding , baby celebration or a party every bite of what we create for your special day in our kitchens aims to be that perfect addition to the celebrations, making things just a little sweeter, a little more decadent and full of love. 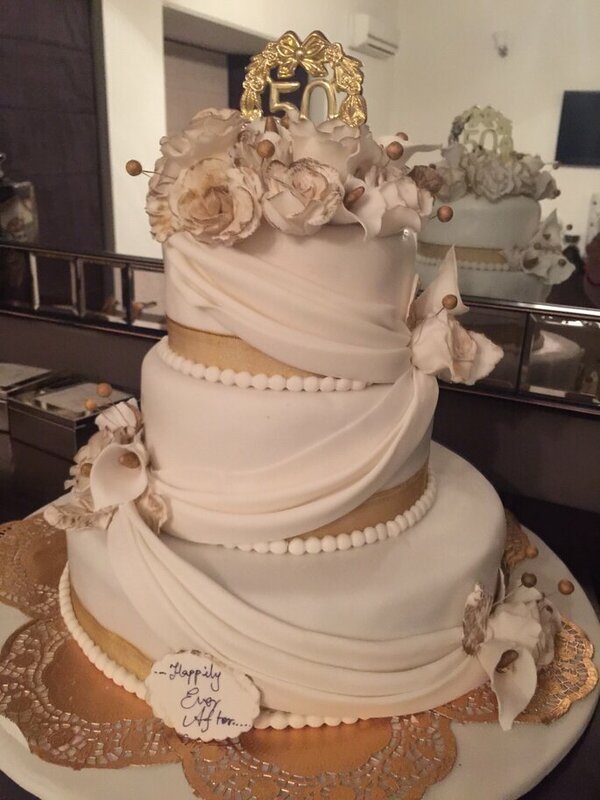 Angel & Devil’s Bakery specializes in creating delectable sweet bakes for your upcoming wedding or special event. From the sinfully delicious to guilt free cakes and treats, your wedding cake or dessert table will be ready to be savoured by you and your guests. Excellent presentation plus high quality ingredients are a winning combination & they don’t comprise even a little bit on it. 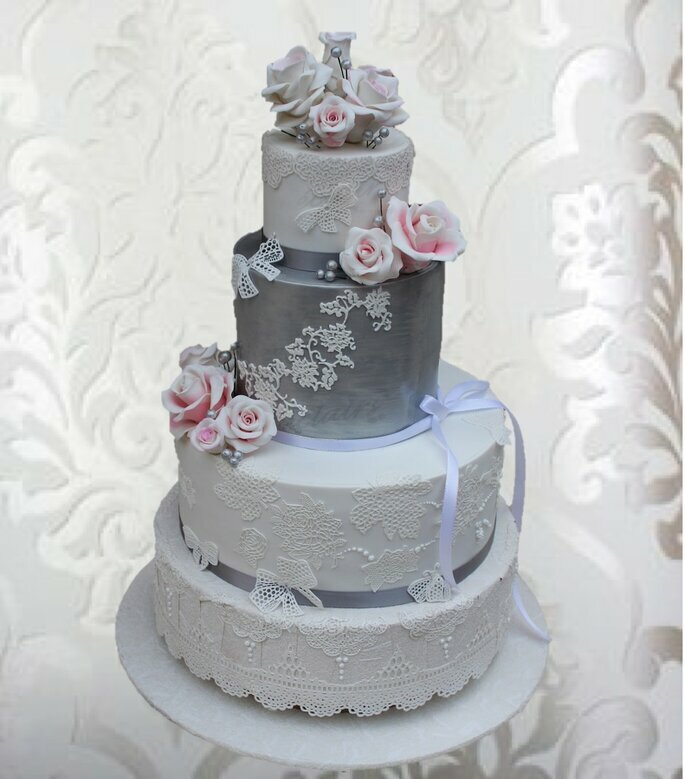 Angel & Devil’s Bakery offers brides and grooms the following products/services for their big day: Designer Cakes, Cupcake Towers/Gift Boxes, Wedding favours, Dessert tables. Photo: Angel & Devil’s Bakery. ChocTales is run by the mother-daughter duo Ritu and Sanah Vohra. 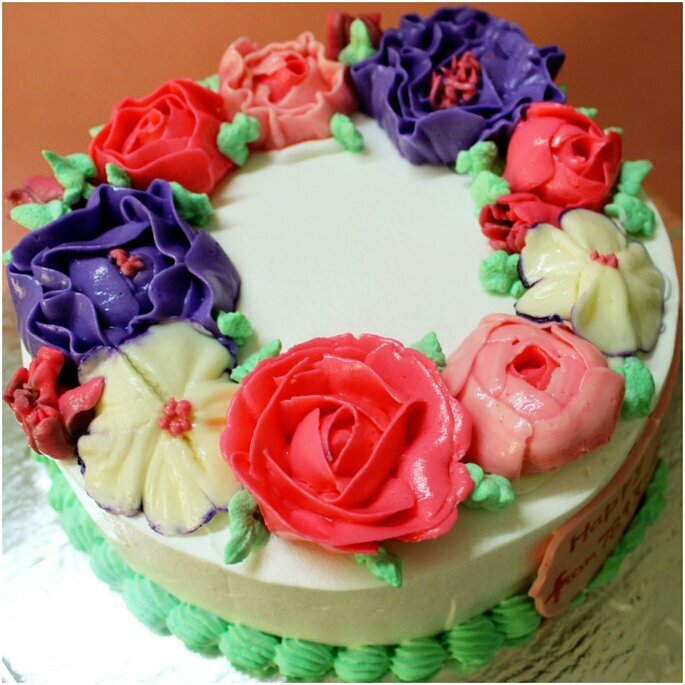 Ritu’s passion and love for baking pushed her to slowly take her hobby and turn it into a profession. Sanah grew up watching her mother bake and decided to take their dream forward. Sanah graduated from prestigious Le Cordon Bleu, London in 2015 and went on to train at The Oberoi, New Delhi. Every cake we bake is a celebration, every cake marks an important day in our customers life which they will cherish for years to come. 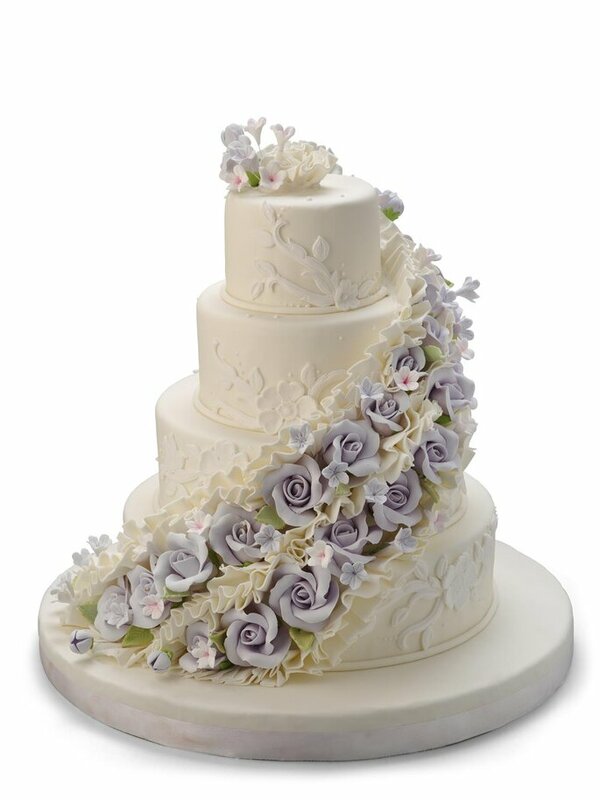 The process of ordering a wedding cake can be tedious and unnerving, but we try to simplify it as much as possible. It all starts with a discussion about the vision of the cake the couple has in mind, then we show them a rough sketch. 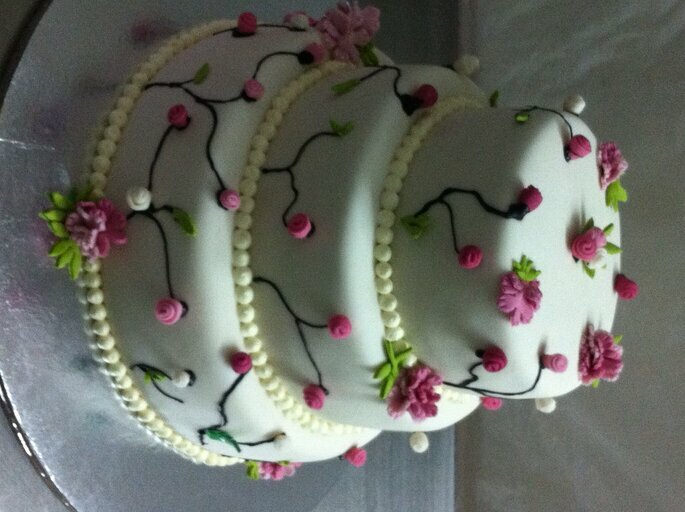 All our cakes are bespoke and customised specifically to the customers needs. After a lot of thought and care the cake is finalised, flavours are chosen and it is set to be delivered on the wedding day. It feels great to not only do what we love, but also leave an impact on our customers heart. We firmly believe that taste comes above everything. 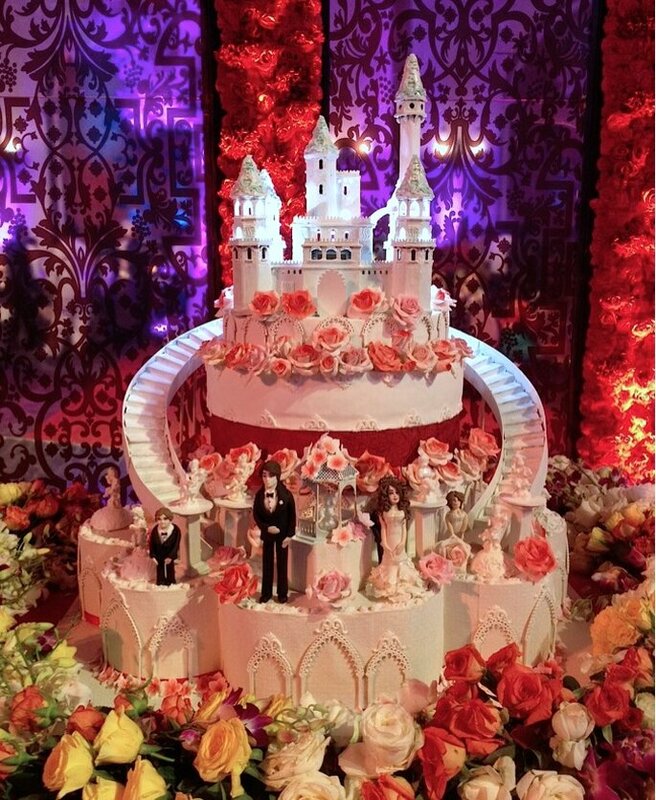 The cake must not only look spectacular but it must taste absolutely amazing. We ensure using top of the line ingredients ; our chocolate is Belgian and Tahitian vanilla beans. Apart from cakes, we also do return favours, bachellerote cakes, customised cookies and dessert tables. Bake Box is the brainchild of Jennifer Duthie and Samira Khandelwal. 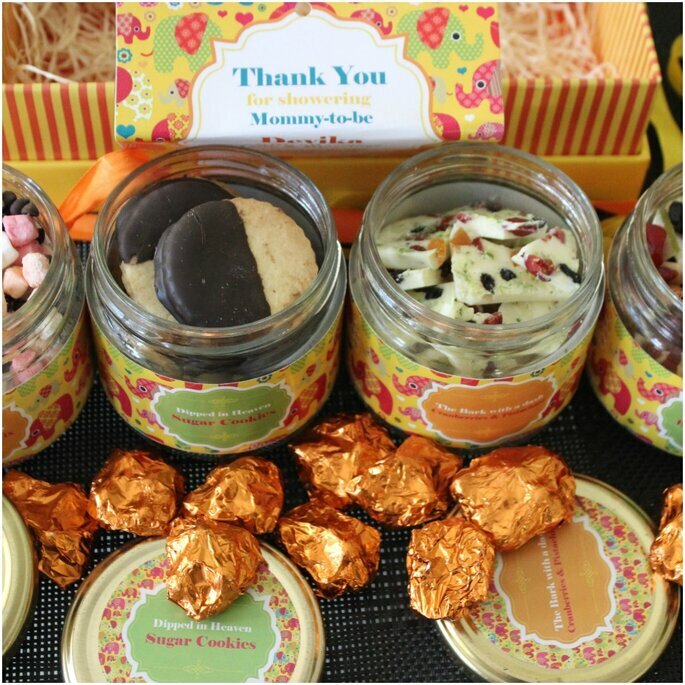 BakeBox was launched in August 2012 to serve ‘cake-a-holics’ in Delhi & NCR. Bake Box is India’s first cake club dedicated to delivering on your door step the best quality cakes, cookies and delicious goodies from home-bakers all across town each month. We are chomping our way through Delhi’s up and coming bakers to shortlist the best culinary inventions and offer goodie boxes to cake lovers. We’re a young start up consisting of creative, cake-loving professionals from sectors as diverse as media, finance, advertising, international trade and brand management. At Bake Box, we are committed to empowering women by supporting and encouraging home based women entrepreneurs to engage with technology in order to attain and accelerate growth. Each Bake Box is a celebration of the baked good. A mixture of treats you know and love, and some you may not even be able to pronounce. BakeBox!!! 100% as it gives me what I always wanted to do. A career where I manage to fulfill my several loves, Love for sweets, goodies, food… Spending quality time with my family & friends and that too in my favourite place of the whole house, our Kitchen. One of the reasons for Bake Box’s success is because of the active role played by Social Media. We are at Best Quality, Superior Taste, Unbeatable Prices & Deliverability. A wedding cake at Eclairs is synonymous to a cascading ‘Showstopper’ that steals the hearts of all leaving them speechless. These decadent good-lookers may wear the look of the themes that match the wedding or the attire of the bride and the groom or may just go with the ‘In Thing”. Some may just want it to be crazy and absolutely bizarre out of the box thing while others go with the traditional or the western themes. 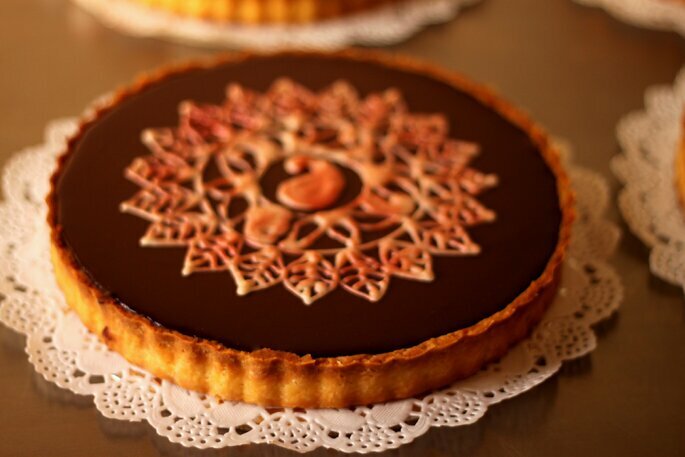 With over 40 flavors on the palette, serving decadent deliciously delectable cakes draped in finesse, style and love, Eclairs delivers breathtakingly beautiful cakes. With a store based out of Singapore too, Eclairs has been awarded the Gold and Silver awards for the Best Wedding Cake Category at GIWA 2016. Eclairs does some amazing ending favors. Right from mehandi cookies to zarozi on macaroons and cupcakes and flavored chocolates we make each occasion of yours special. Eclairs makes lives more sinful and indulgent with amazing desert counters with lip smacking and finger licking good delectable bites that makes each thirsting for more. 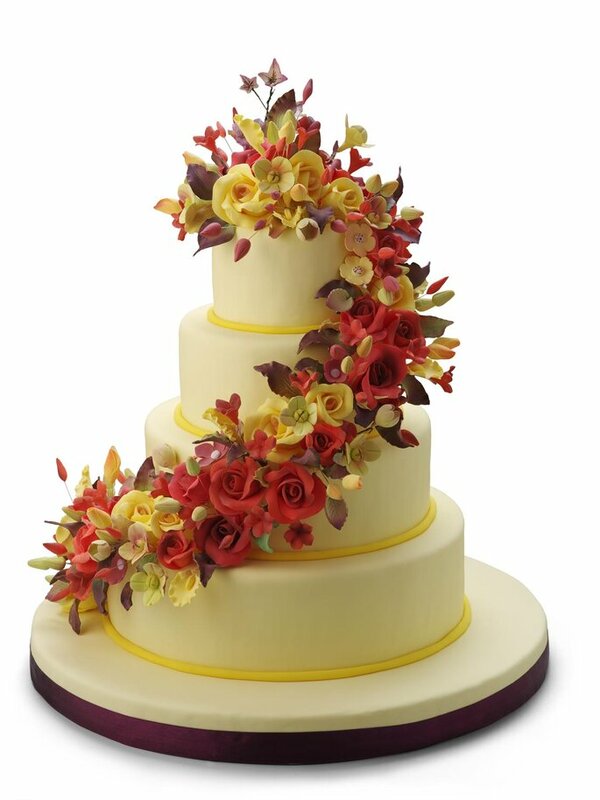 During these five years, we have made occasions really special for our customers through our cakes and designs. As excited as we are to show you our works. We have specially curated be spoke hampers that people order in large quantities for distributing them with the wedding cards to friends and family. From lavender short breads, chocolate chip cookies, brownies, tea-cakes to even gourmet teas of Elma’s, we include all in our wedding hamper. The price ranges according to the assortments chosen by our customers. Elma’s was started in 2011 at Hauz Khas Village in a cozy, little lane where people would stand for hours to get in. Seeing the response she was getting, Shelly Sahay, the one-woman army behind this British cafe, decided to open a Brasserie this time in the posh lane of Meherchand Market a couple of years later. And just recently at the chic lifestyle store at Goodearth at Select City Walk, Saket. 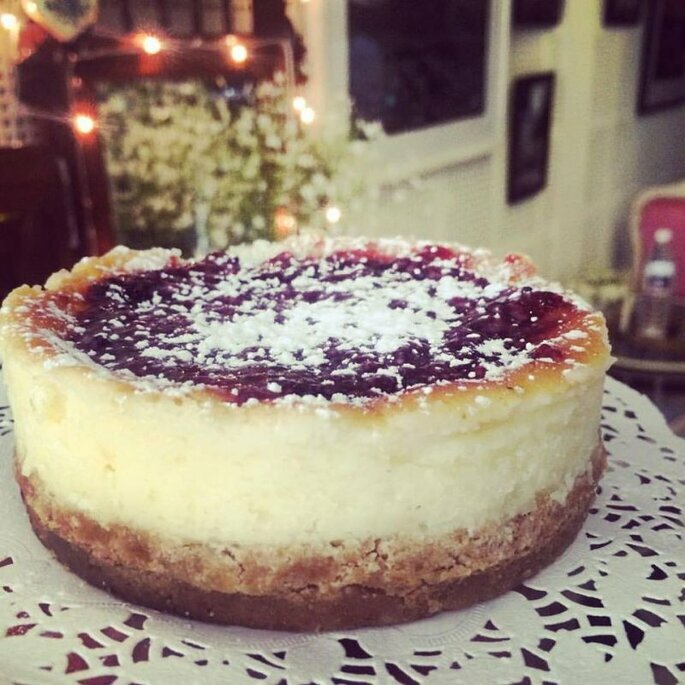 Elma’s is highly known for its cakes, breads, high-teas and the prettiest, antique decor curated with a french twist. Since our desserts here are to die for, the food is too! From pot pies for a cozy winter night to a Traditional Roast for Sunday’s, they have it all Anglicised for you. From a bitter management track to sweet aromas of a bakery; the divine smell of batter turning into a scrumptious cake, cute little rosettes being piped on top of cupcakes and a score of inspirational designs now define Nimisha’s day at “All Things Yummy”. There is something I have truly realised over the past few months in my profession and also after watching a lot of close ones get married, we are in the business of making someone’s big day special (whether it be a cake decorator, a florist or the makeup artist) and things can go wrong many times in the course of events, but the only way to achieve complete success is not just through hard work but also in truly feeling the joy that the couple shares on this big day and realising how every little thing that we do can make such a big difference in the lifetime full of memories that they will associate with this day..
Why get your wedding cake from All Things Yummy: Apart from catering to your design requirements, we also have a large variety of flavours to choose from. 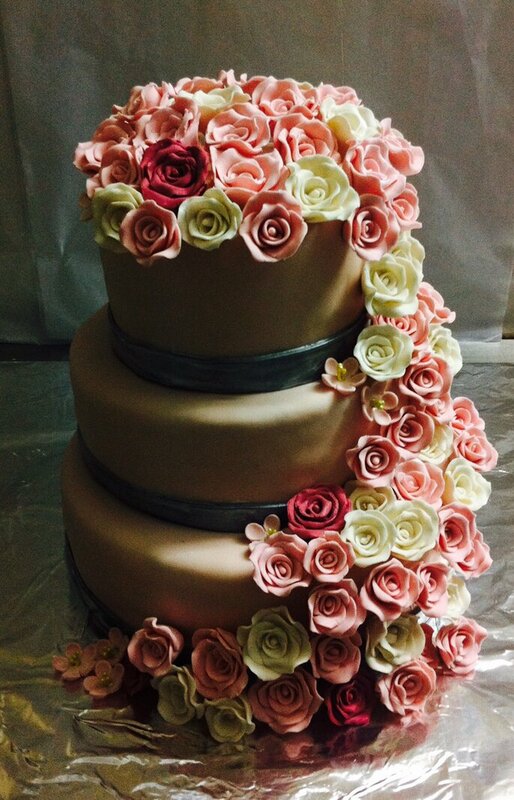 Many times our customers order a wedding cake where different tiers are made of different flavours. We also specialise in wedding favours and customised packaging. It is located in the heart of New Delhi. 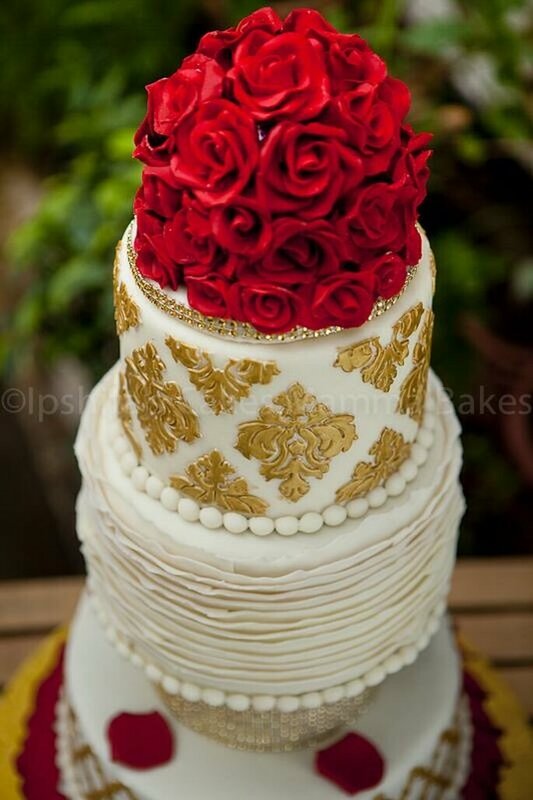 Exotic Cakes & Desserts is the premier Cake Design Boutique, born out of passion and love for food. 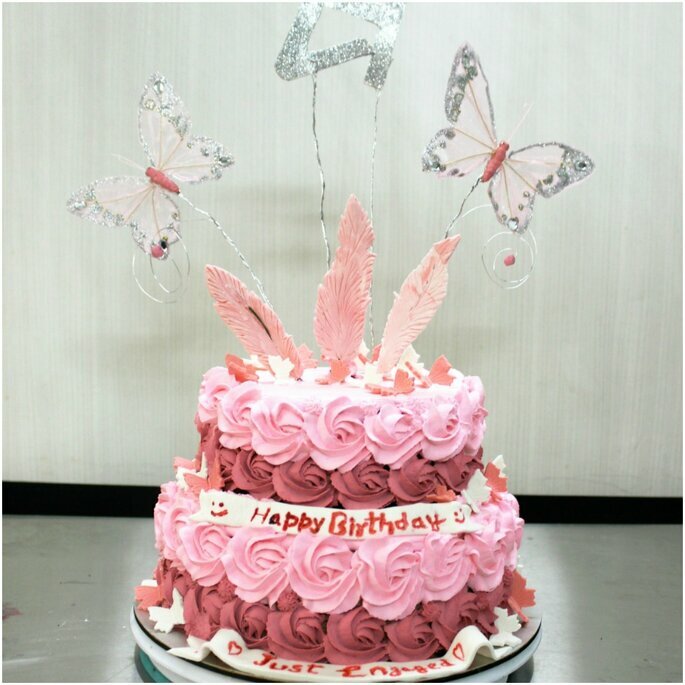 – with an aim to createscrumptious, chic and delectable cakes and confectionaries. This passionate venture aims to capture your hearts and palates with its luxurious sweet treats ranging from Couture cakes, Cupcakes to stylish Cake Pops, Classic Tiramisu to the modern Cheesecakes, Brownies and more. 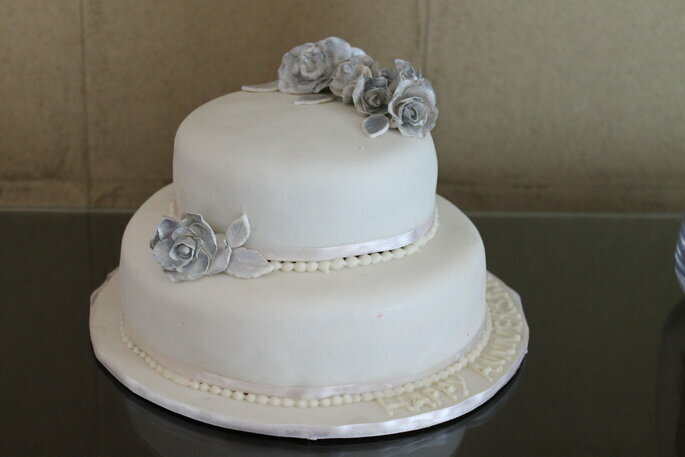 Our Bespoke or Designer Cakes are one of the most sought after in Delhi. 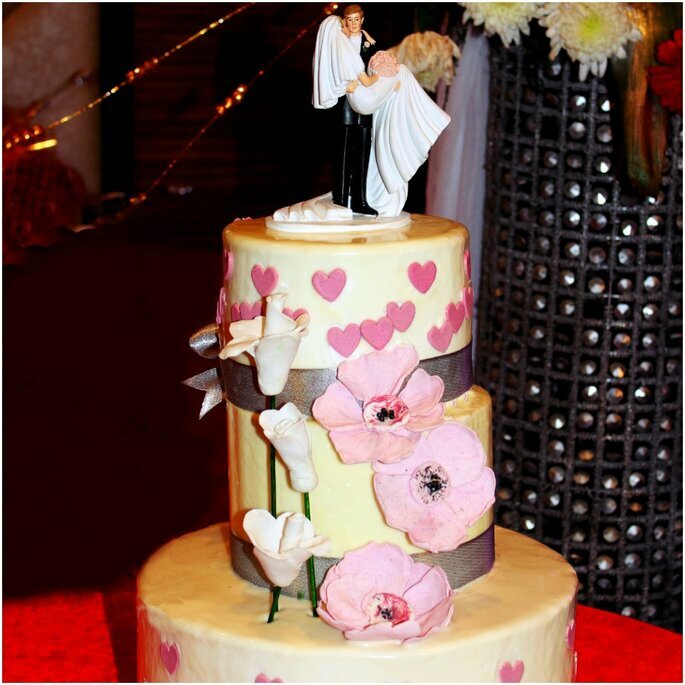 We specialize in wedding & anniversary cakes, birthday cakes, baby showers and all celebration cakes. Our aim is create a cake that shall celebrate special people, special days, and the special events in your lives making it truly memorable. If you can dream it, we can create it. 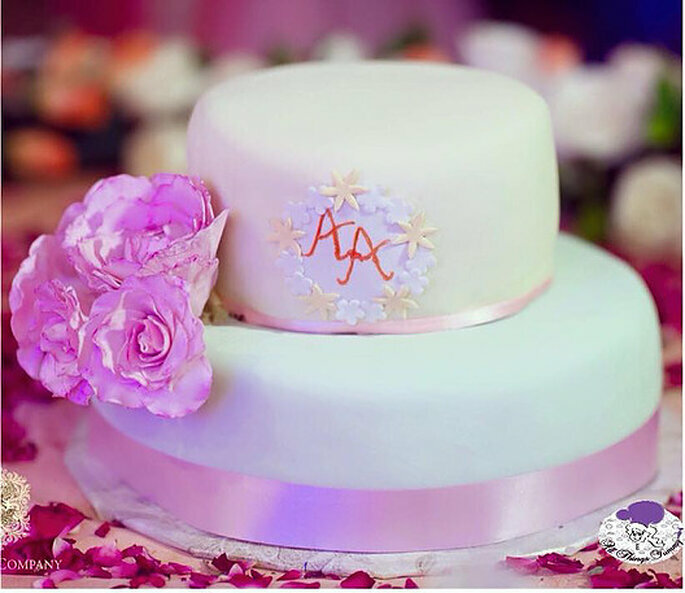 In addition to a wide variety of cakes, desserts and puddings we also prepare an extensive variety of savoury dishes, brownies, cake pops,designer cakes and cupcakes for weddings, anniversaries and baby showers and a assortment of unique sweetmeats. Photo: Exotic cakes and Desserts. Ipshita started her career with the Taj Group of Hotels followed by a long stint with the media, She spent more than a decade with NDTV. In 2010, and than she launched Ipshita’s Cakes Mamma Bakes to follow a dream. After almost 6 years in the business, it was time to take the next step. So, in October 2015, The Hot Pink Cake Studio was launched with a dear friend, Sharmila Basu. 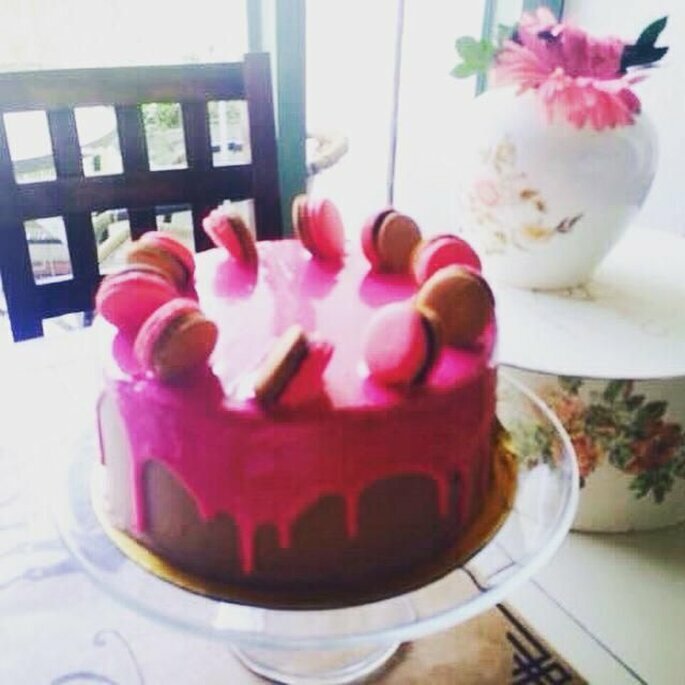 The concept of The Hot Pink Cake Studio is, ‘we bake it fresh for you’. 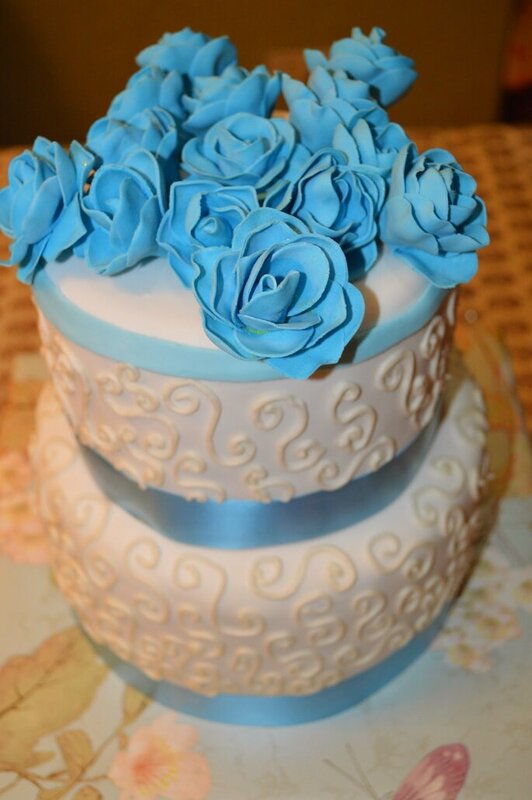 This applies to not just bespoke cakes but also to regular bakery products like tea cakes, cookies, desserts, breads. All you have to do is give us a heads up and you can come and pick it up, freshly baked, straight off the oven, baked just for you! 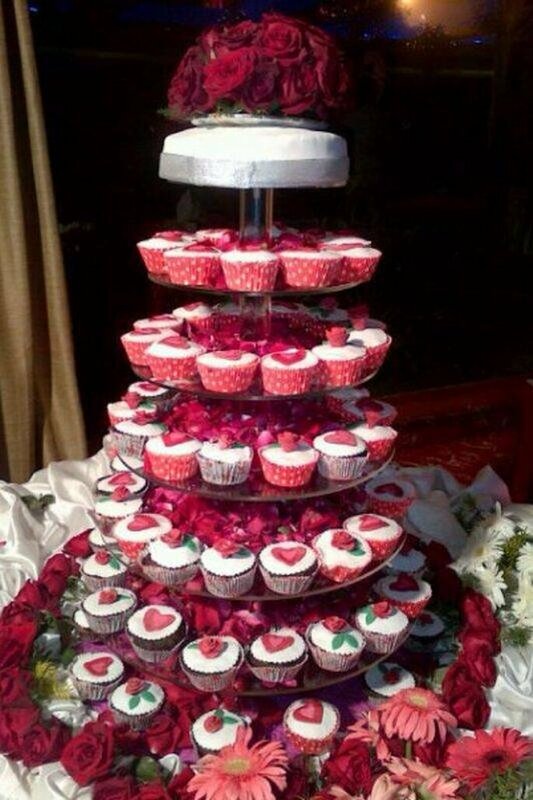 The wedding cakes are very special given the occasion. It takes a few weeks and sometimes clients like to plan it months in advance. There is a tasting session to decide upon the flavours. The design is finalised keeping in mind the minutest details that are discussed as it’s a lifetime experience and we would do everything to make it a memorable one. Photo: The Hot Pink Cake Studio by Ipshita. Avanti decided to pursue her lifelong dream to be a pastry chef and enrolled at the Baking and Pastry program at the prestigious Culinary Institute of America, New York, where she graduated in 2007, at the top of her class sweeping all the awards of her class. While at school, Ms Mathur worked with Certified Master Chefs and Bakers and worked at St. Andrews Café and the Apple Pie Bakery & Café, award-winning restaurants at the CIA. She completed her internship at the Four Seasons Hotel & Resort, Dallas. Upon graduation, Ms Mathur worked at the widely acclaimed TRU Restaurant in Chicago. She was also the Consultant Pastry Chef at Vermilion, Chicago, an award winning Indian Latin fusion restaurant where she created an innovative and contemporary blend of flavors for their dessert menu ranging from “Chana-chor Garam Brittle” to “Betel leaf-Mora Berry Mousse” to “Burnt Orange Phirni”. Photo: Sweet Nothings By Avanti Mathur. 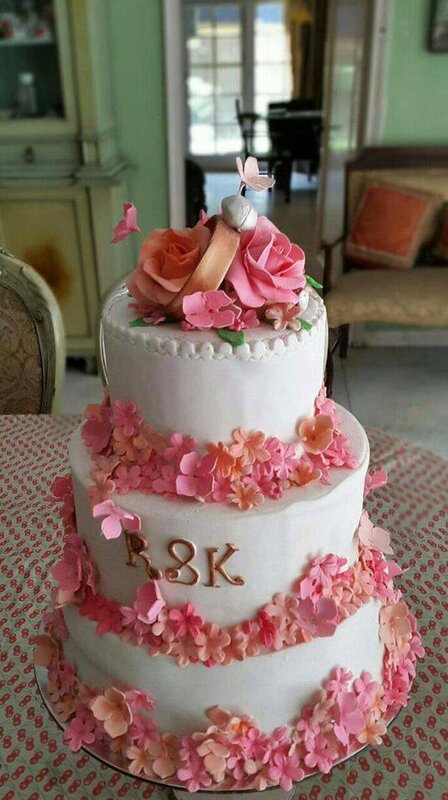 Since moving to New Delhi, India, she has set up her own professional bakeshop, Sweet Nothings by Avanti Mathur, whipping up custom made treats designed in consultation with her customers from corporate events to destination weddings to everyday celebrations. Happy to be living her dream, she believes that mediocrity is not an option. She was also recently invited to create a food installation along with eight other leading Indian chefs at the Leela, New Delhi, as part of a fundraiser for a non profit she supports for creating job opportunities for rescued children and their integration into mainstream jobs through mentoring and vocational training programs. Chef Mathur was nominated for the Pastry Chef of the Year in the Top Chef Awards 2014 hosted by the Delhi Gourmet Club. She is also the consulting chef for developing the Entertaining Menu for Foodhall stores across India and does consulting projects for new and existing patisseries. 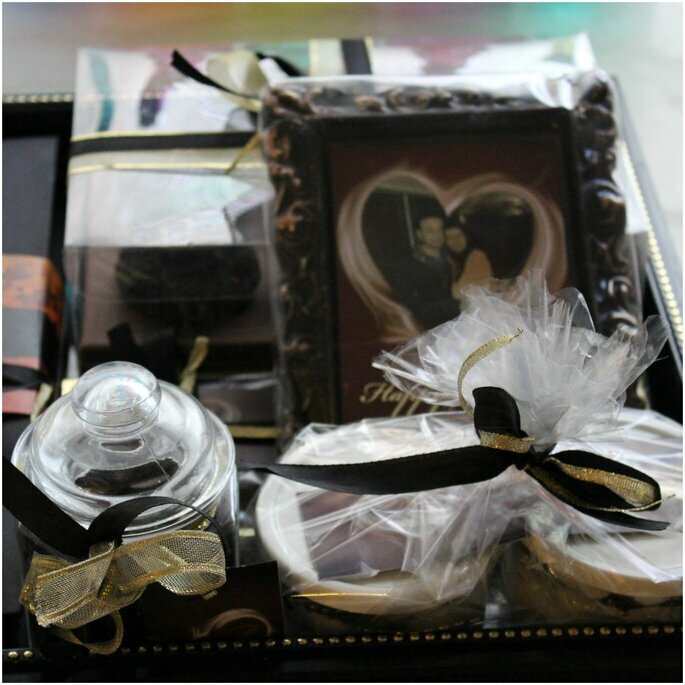 Cakes are not enough to make your memories for life but these cookies and chocolates from Sinfully Yours are amazining to gift your love ones. To be very honest kids will love it. It all began with a dream that embodied a love for chocolate and a desire to make moments of life sweet, delicious and special.This dream shaped up as an exclusive boutique confectionery business and was christened Sinfully Yours. Freshness, creativity and love are the first and foremost ingredients in our products. We specialize in Chocolates, Desserts and Snacks, but our list does not end here .We believe in re- inventing at every step so that you get the best and most personalized product. From wedding and corporate bulk orders to an exquisitely designed individual bar of chocolate just for you – we do it all. We also provide attractive packaging options on request. Sinfully Yours payes careful attention to clients and ensures all orders are of high quality and hygiene and their staff is personally trained. They care that customers receive and give gifts that have a personal touch.